Landlords take note - new workplace health and safety asbestos regulations that came into effect earlier this month apply to both commercial and residential property owners. The Health and Safety at Work (Asbestos) Regulations 2016 mean that property owners with a property which is operating as a workplace must not only identify whether asbestos is present, but have an asbestos management plan in place. While the new regulations are more applicable to commercial properties, they also apply to residential properties in certain situations, such as if the property is undergoing renovation, repair or maintenance work. But ASA (Asbestos Survey Assessment) managing director Frank MacCullaich says that many residential landlords aren’t aware they are affected by the requirements for safe management and removal of asbestos. “Further, there is much uncertainty among residential landlords as to exactly what they are accountable for and what they are required to do in regards to the new asbestos regulations. MacCullaich says that, in order for landlords to stay on the right side of the law, there are now three golden rules when it comes to asbestos. “First, landlords need to know whether their property has any asbestos and if so what, where, how much and what condition it is in. 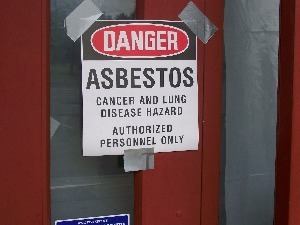 “Then they need to ensure that their tenants and other property users are not exposed to the risk of friable asbestos. MacCullaich says the plan should include information on where the asbestos is, what timetable is in place to leave or remove it, and what policies and procedures workers and tenants need to follow. Asbestos is a notorious health hazard and, according to WorkSafe, asbestos is New Zealand's single largest cause of deaths from work-related disease. The general view is that a significant proportion of New Zealand buildings, both industrial and residential, are likely to contain some form of asbestos. This is particularly the case for those built, altered or refurbished between 1940 and the mid-1980s. But while most modern buildings are less likely to contain asbestos or asbestos containing materials (ACM), it’s worth noting that a full ban on these products only came into effect in late 2016. If the ACM is in good condition, and unlikely to be disturbed, it may not present a significant risk but it’s a different story if the ACM is in poor condition, disturbed or damaged. For this reason, MacCullaich says it is critical that landlords are aware of their “duty of care” as a “person conducting a business or undertaking” (PCBU) under the regulations. That means if a landlord has no plans to do work on a property, and has taken “reasonable care” to establish there are no ACMs in a risky condition, they will have satisfied their “duty of care” and can carry on business as usual, he says. “But if there is planned work involving more than 10m2 area of ACM then a landlord will fall directly under the regulations. “You will need an asbestos refurbishment/demolition survey conducted to identify what ACM is present, how much is there and the risk posed by the type and condition of the asbestos. Landlords should do their research, contract a professional asbestos surveyor to undertake a management survey report, compile an asbestos register, and implement a comprehensive asbestos management plan, MacCullaich adds.